Konektamundo is the only recruitment service in the Australian automotive industry to use the Process Communication Model ® (PCM) to deeply analyse and understand each candidate before placing them in a job. We worked closely with the client from the inception of the business concept to support him in shaking up the recruitment industry and identify the right technologies to utilise. Using WordPress, we produced a clean and intuitive information structure to showcase new jobs, capture new candidate information, and present key information on personality types and PCM training. Yes, the website is responsive and yes, we’ve integrated some sleek features including Zapier automation so that when a new candidate fills in their details on TypeForm, it is automatically added into the CRM in Workable and MailChimp. “As a new brand with zero awareness, we were looking for a business that would act like our partner and help us work out a strategy to cut through in a market with lots of competitors. 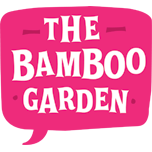 The Bamboo Garden helped us by building a website that was more professional than the competition, and developing a social media strategy that was different from the norm.